The ProCare Humeral Fracture Brace/Over the Shoulder is a pre-fabricated foam-lined orthosis designed for the management of mid-shaft and distal third humeral fractures. Provides total contact circumferential soft tissue compression for optimal control of humeral segments while allowing range of motion of both shoulder and elbow joints. Pre-fabricated foam-lined orthosis designed for the management of mid-shaft and distal third humeral fractures. Features a deltoid cap extension, which provides greater alignment control and prevents distal slippage. Provides total contact circumferential soft tissue compression for optimal control of humeral segments while allowing range of motion of both shoulder and elbow joints. 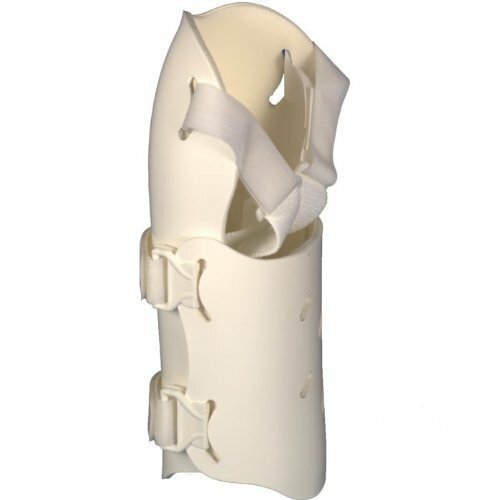 Neutral design fits right or leftEach brace comes complete with two (2) double thick cotton stockinettes. Indications The ProCare Humeral Fracture Brace/Over the Shoulder is used to help stabilize and support the mid-shaft and distal third humeral fractures. Goals Stabilize Humerus. Patient comfort. Decrease anti-inflammatory medications. Decrease pain symptoms. Improve shoulder & elbow joint function. Improve recovery.